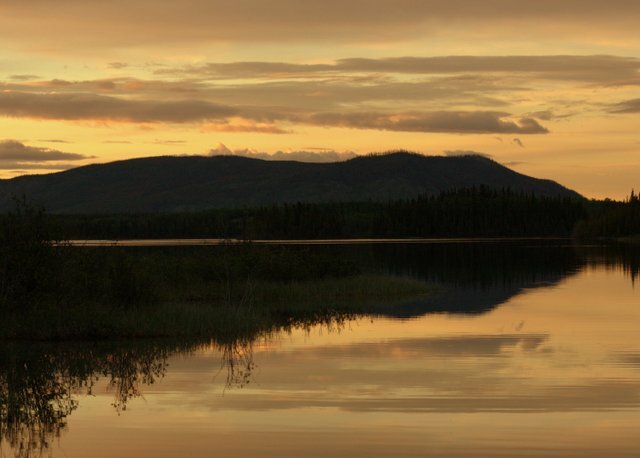 My summer travels began on May 27 taking me North towards the land of the midnight sun. On the night of the strawberry moon I was camped beside Boya Lake a pure clear Northern BC lake known for it's pools of turquoise blue and green reflected from the ancient shell beds that form the lake bottom. 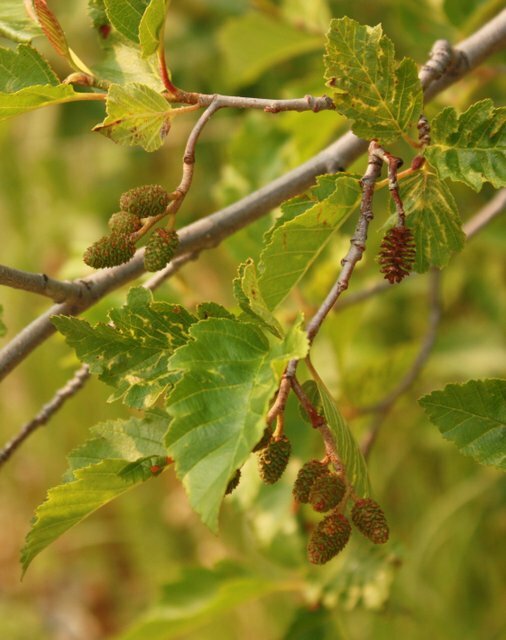 With the Cassiar mountains famous for their jade content looming above, the lake is surrounded with a natural mixed forest in some part of which are small Alder trees - a different species than the Alder near my home. The plump pink catkins of the spring were long spent and the shorter cone-like catkins were green, rich with fertile seed and abundant. The long light days of the short summer weeks, cold dark months of the long winter in these Northern climes render growth patterns that move faster through the cycle of the seasons. The trees focus their energy into reproduction not height, leaves are sparse providing just enough surface to contain the precious chlorophyll to exchange the oxygen and carbon dioxide molecules that support life. I spent the evening hours watching the changing skies, the loons on the lake, the shadows and reflections as the sun slowly sank below the mountains.